Gear S3 Frontier: How do I change the watch face on my Samsung Gear S3 Frontier (SM-R760)? 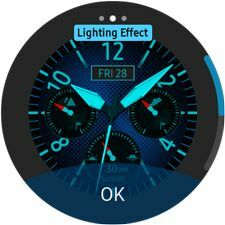 An array of watch faces, many customizable, are preloaded on your Gear S3. 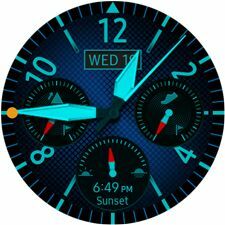 You can also download watch faces from Galaxy Apps. 1. Touch and hold the current watch face. 2. 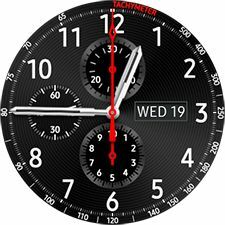 Rotate the bezel to see the other watch faces available. 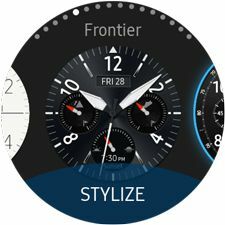 Touch the watch face you want to use, or if available, touch STYLIZE to customize the watch face before selecting it. 3. On the stylize screen, rotate the bezel to change options for the current feature. For instance, rotate the bezel to change the Dial design. 4. Then swipe to the left or right to move between the features you can customize. 5. 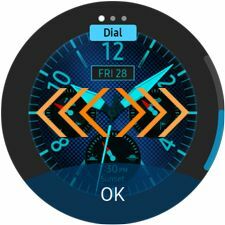 Touch OK when you are finished customizing the watch face. 6. You will be returned to the Watch screen.